Not only is singer and handbag designer Siedah Garrett consistently in creative mode, sheâ€™s always prepared. Not only is Siedah Garrett consistently in creative mode, she’s always prepared. At an annual Christmas dinner party at the home of Quincy Jones in 2006, word got out that Garrett had started a handbag line. When singer Patti Austin asked if she would crochet a bag for her, Garrett said she had 32 bags in her car in preparation for a private trunk show. That night she sold half a dozen. Jones suggested she leave the rest of her bags with him. Oprah Winfrey and Mariah Carey were visiting the next day, and he thought they might be interested. Winfrey bought two and so did Carey. Although Garrett is best known for her talents as a singer and songwriter, having produced award-winning hits for artists ranging from Michael Jackson to Jennifer Hudson, her creative interests include art and fashion–chiefly handbags. “I’ve always been a handbag harlot,â€ she admits. The interest stemmed from being mocked for wearing second-hand clothes, and later, her fascination with clothing labels, which she collected for years. “I don’t like them in the back of my clothes; I like them as art.â€ So she began designing cloth bags featuring a variety of labels. “Women would literally pull over their cars to ask me where I got my bag.â€ She thought about starting her own line, but a trademark attorney warned her that she could be sued by each label she sported on her bags. Garrett has since become more interested in leathers. In 2006, she started her Skinz line of wallets, totes, and clutches, which range in price from $300 to $1,100 and feature stingray, crocodile, alligator, and ostrich. “I buy my skins from a merchant who sells these leathers as a byproduct of food preparation,â€ she explains. Her conservation interests have also inspired a green line, which will be designed in fabrics such as cotton, silk, and hemp–and will be more affordable. “Creating this line of handbags has given me a wonderful outlet for my designs, and has allowed me to expand my creative expression to include much more than music,â€ Garrett offers. “I’m an artist, and artists are never limited in our creative expression. 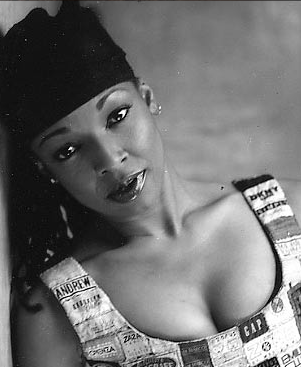 Most of us do far more than the one thing we are known for doing.â€ For more information on her line, visit www.siedah.com. This article originally appeared in the January 2009 issue of Black Enterprise magazine.